Caroline Persson was the winner of this years Green Challenge (Grøn Dyst). 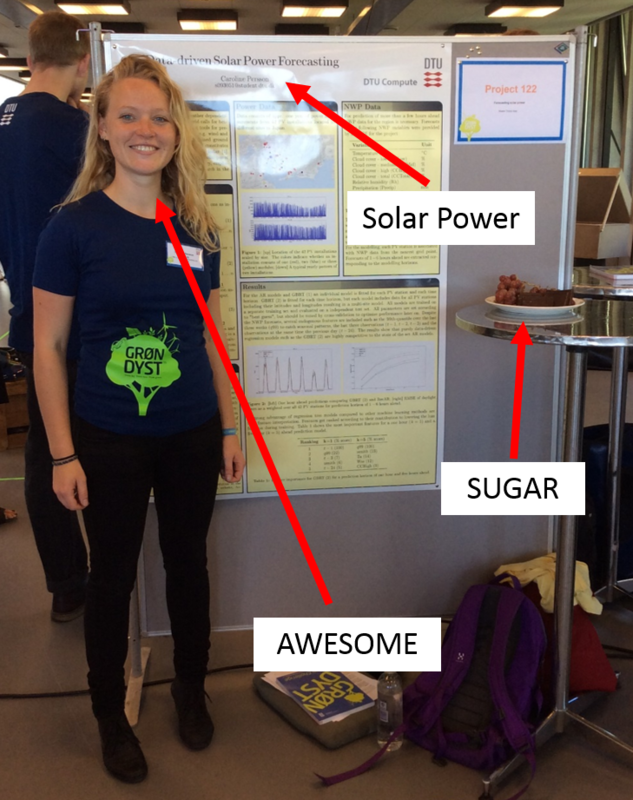 Caroline has developed new methods for probabilistic forecasting of solar power generation. Her methods are useful for predicting the power output from a large number of PV installations.